Online digital advertising is now at the heart of all major brand campaigns. Web marketing in its general vision is today a choice not to be missed for the success of brands or companies. We have all witnessed one of the best online advertising campaigns, such as global advertising or one of the Apple campaigns, or found brilliant ideas when it comes to communicating with their audience. Campaigns and actions that have slowly made their way into the world of political marketing campaigns. The Internet has transformed politics into an area that has changed all its codes. Traditional concepts ranging from B2B to B2C have evolved to H2H, a kind of human-to-human exchange. The objective: to make human, or at least close to the people, candidates who suffer from an image that is too elitist. And on the other hand political activists and the people in their general vision have much to teach political groups. Compared to other markets, to be effective, the policy must achieve a significant market share. In trade, a 10% market share is more than enough; but in politics it does not allow a victory. So, to achieve a political victory, you have to keep certain things in mind before you start a campaign. First of all, it is clear that both digital marketing and politics want the same thing: to convince people to do something. Convince them to vote for you. And convincing them requires effort and time, of course. Thus, before political activists, digital marketers and even political candidates begin to create their strategies, here are the ten commandments of political and digital marketing emanating from an experienced vision that was forged Crux Creative Solutions through there 4 years of experience! And vice versa, never start campaigning on the Internet if there is no strategy, both digital and political. It is essential to carry out a real strategy and to study your electoral fields beforehand through traditional marketing. Listen to your potential voters on social networks and the web, via email responses or by organizing e-meetings, and insert their needs and desires into your strategy, and hammer this vision into your distribution and visibility channels. Because coherence and relevance are coupled with a well-constructed and effective strategy. This requires working on a large number of messages, focusing them on objectives and targets and then declining those that have worked best and making them a flagship message. The advantage of the web is that everything can be modified, we can test it and then rework it. Visual communication is the most attractive for Internet users, it must be coherent and above all respect a precise graphic charter in order to visually recognize its candidate. The importance of the visual is scientifically proven in the consumption of products: why should it not be the same in politics? The image in the literal sense, i. e. the different visuals of a party, but also the image in the broader sense of a political party. Digital marketers know what works and what doesn’t work in the online environment, while political activists know what kinds of emotions trigger voters’ reactions. Key Performance Indicators (KPIs) are the basis of marketing. Use them all the time and base yourself on these visions of the effectiveness of your campaigns. To have a real-time vision there are automation solutions available. You will be able to generate campaign reports/tables and analyze them daily to optimize your campaigns and overall strategy. Constant analysis is a must in political campaigns, which are generally much more risky than commercial campaigns where automation marketing is nowadays an essential rule. At the heart of this strategy, you will constantly try different media, messages, different types of content, different visuals but also different electoral segments. If you engage in a conversation or relationship with someone and simply disappear without a word or opinion afterwards or without creating a link, the visitor will forget you, or worse, neglect you. Don’t just target them and engage them with advertising on Facebook or via flyers or a particular topic. It is necessary to acquire data and then send them information or encourage them to participate in political life. Building a digital relationship is what helps you convert people into voters. While digital marketers generally use a “funnel” concept to describe the total conversion from a simple user to a loyal customer, “funnels” do not really work that way in politics. Converting a simple fan or Internet user into a safe voter can sometimes be a roller coaster, but with a connected campaign team and the right strategy, the sky is the limit! Indeed, the famous proverb “Keep your friends close and your enemies even closer” also applies to the countryside. In other words, it’s about keeping an eye on your opponents. Monitor and see what they do on social networks, on their platforms and try to always be one step ahead. There are many monitoring tools: use them in the digital marketing environment. Even if you are a digital marketing guru, your campaign manager is also a digital marketing guru, and your entire team is digital literate, it doesn’t matter. 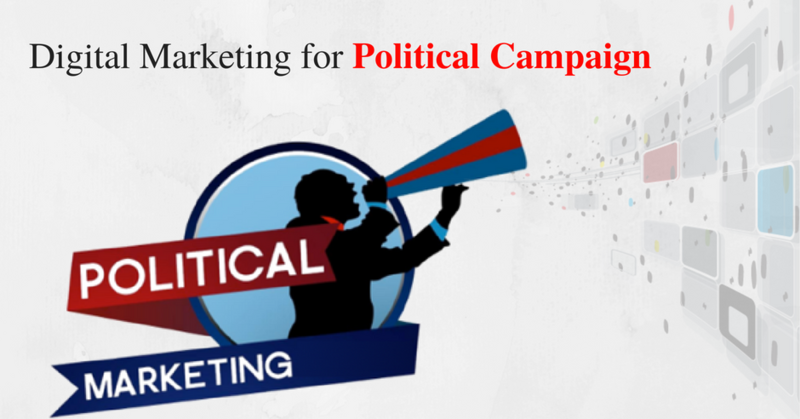 The crossover between digital marketing and political marketing gives us an immense breadth of fields to experiment and develop political communication. Stay tuned and always ready to learn about the new challenges of digital political marketing!